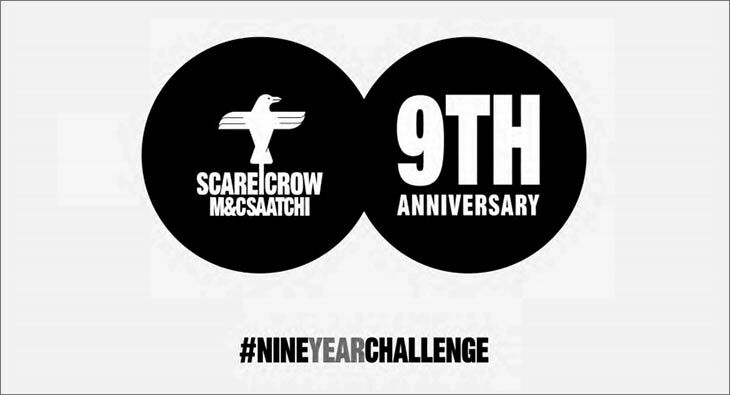 Scarecrow M&C Saatchi is celebrating nine years, so as part of the agency's celebrations, they decided to ride on the popular social media wave by creating its own #NineYearChallenge. Apart from the fun facts and trivia, the employees were also asked to share where they see themselves in the next 9 years. Manish Bhatt, Founder Director, Scarecrow M&C Saatchi spoke about where he sees Scarecrow in the next 9 years. "In the next 9 years, technology will probably make humankind crippled by offering the carrot of convenience and by showing the stick of a speedy life, and gradually turn our life into a robotic lifestyle. In that robotic era, in 2028, Scarecrow M&C Saatchi will be the champion in infusing human emotions to brands like no other in our industry, when most brands and its consumers will be craving for the highest level of emotional quotient."